Olight RM10 Remote Control Switch (M10/M15/M18). Our robust and versatile remote pressure switches allow you to fully control your weaponlight, with no clicky sound, while maintaining your preferred grip on the firearm. 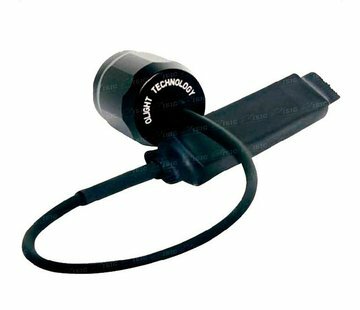 Replace the flashlight’s tail cap, run the cable to your desired location, and secure the pressure switch. It will momentarily activate the light, turn it on and off, and remember the last brightness setting used. You can also access strobe.